Little Orphan Annie: Since the wayward orphan’s eyeballs are famously blanks, how do you tell when she’s really dead? When her syndicate says so. Jaime Weinman reports on the death of Annie. Mezolith: I loved David Fickling’s DFC in the way that only a comic book fan can love a comic and I was sad to see it go. But then I was happy again to discover that some of the strips in the British anthology comic are living on as graphic novels. Steve Holland has a review of one of the new ones, Mezolith by Ben Haggarty & Adam Brockbank. Iron Man 2: Lance Mannion has a review of Iron Man 2 that isn’t like others you’ve read. “There’s enough fake science, fantasy engineering, real and someday soon to be real high tech wizardry to make Iron Man 2 one of the all time great nerd epics, ranking up there with Apollo 13, Enigma, and the first Iron Man.” I wish Mannion could review all my super-hero movies. Captain America: My favorite new blog is called, yes it really is, Child Murdering Robot. My favorite recent post there is all about Captain America and how he spends his downtime at Avengers mansion and overshares about it. Ricky Sprague will make you laugh, too. 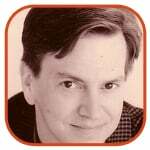 Denny O’Neil: The acclaimed-and-award-winning comic book scribe and editor Denny also wrote some novels. One of them was the Richard Dragon novel with Jim Berry, a book that was later turned into the DC comic Richard Dragon Kung-Fu Fighter. Bruce Grossman at Bookgasm takes a look at one of them. Carl Barks: I’m ignorant of most things Barks beyond his Disney Ducks. I knew he drew some risqué cartoons in his early years, but that’s about it. I certainly didn’t know that he drew Porky Pig comic books. Fortunately, Doug Gray at The Greatest Ape knows all. Facebook: I don’t often get a chance to link to Dirk Deppey at Journalista, but he has a good take on why he just joined the social networking site that now treats your privacy like it was on sale at Office Depot. Also, a couple of tricks to – he hopes – avoid getting bought and sold. Hellboy: I’d forgotten the long-ago marketing tool of promotional sketch cards ever existed. Mike Sterling reminded me – and thousands of others. That’s it for this week. Let’s hope for a better one next week.